We've all spent countless hours whiteboarding solutions to coding challenges, sweating over space-time complexities and wishing you could quickly check if your code actually compiles? 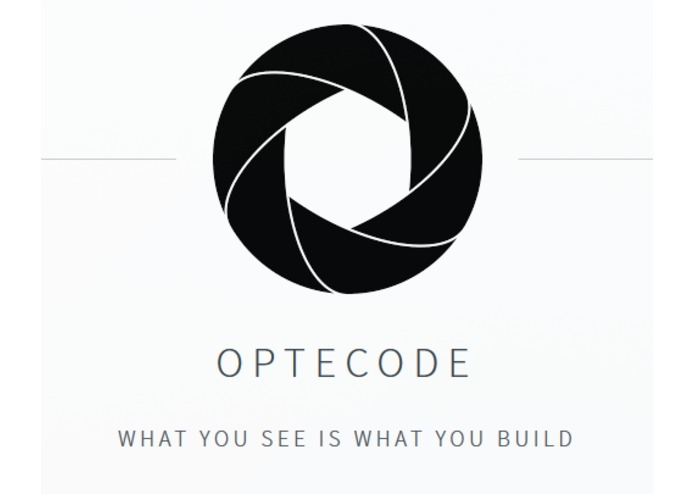 That's why we built Optecode you! 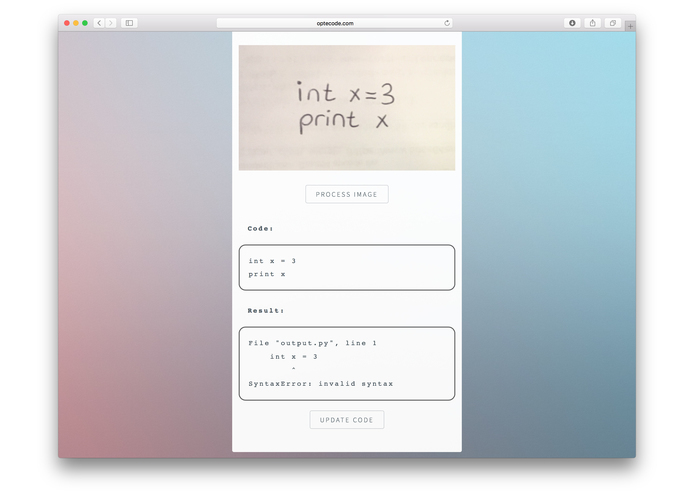 Now you can take a picture of your code and immediately check for errors, see the output, and write extra test cases if your heart desires it! 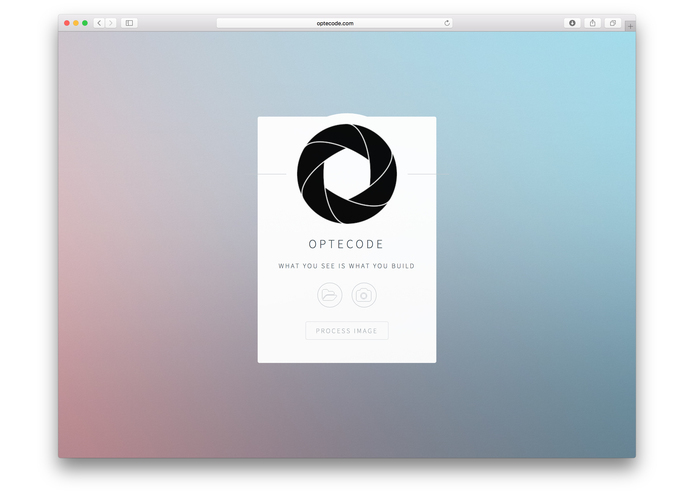 Optecode lets you take a picture and upload it to our servers where we analyze it using Microsoft Vision API. 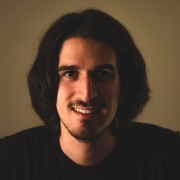 Your code will be automatically recognized, parsed, and finally executed! You'll immediately see your code's output and any error or warning messages. If you wish you can modify your program and write some test cases! 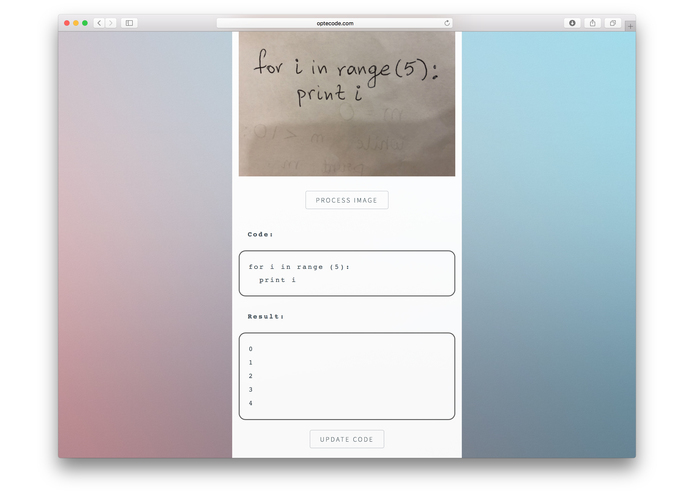 Handwriting recognition for code isn't where we'd want it to be. Since the time limitations of a hackathon prohibited us from training our own OCR models, we built a set of rules that recognized common OCR deficiencies and quickly fixes them! We're proud of how smooth we managed to make the process of understanding code and presenting it in a very beautiful way in our front-end, while the OCR model we used wasn't made to understand programming languages. We're all proud that we got to work on something new, testing new technologies, and actually delivering a product that lives to its promise! Everything is possible given enough coffee, food, and work. The next step is to build our own custom OCR code recognition model that understands all the intricacies of programming languages. We want to support more languages other than Python and evolve our application and bring AR into the mix! Stay tuned! I worked on the backend, configured all our AWS servers, created the API endpoints and interfaced with Microsoft's Vision API. I worked on the backend side of the server and was involved in writing an interpreter kind of script that accepted the text obtained from image being translated to text and cleaning certain parts of it which the machine misinterpreted and making it very close to machine readable code. Willing to develop games and anything that can be useful somewhere to someone!